When India falls to her death from a bridge over a railway, her sister Poppy returns home to Brighton for the first time in years. Unconvinced by official explanations, Poppy begins her own investigation into India’s death. But the deeper she digs, the closer she comes to uncovering deeply buried secrets. Could Matthew Temple, the boyfriend she abandoned, be involved? And what of his powerful and wealthy parents, and his twin sister, Ana? Enter the mysterious and ethereal Jenny: the girl Poppy discovers after hacking into India’s laptop. What exactly is she hiding, and what did India find out about her? What happened to Poppy’s sister? Was it suicide, or was she pushed? Poppy isn’t convinced it’s the former, so starts digging into her sister’s life, revealing a host of secrets that others would far rather have remained firmly buried. 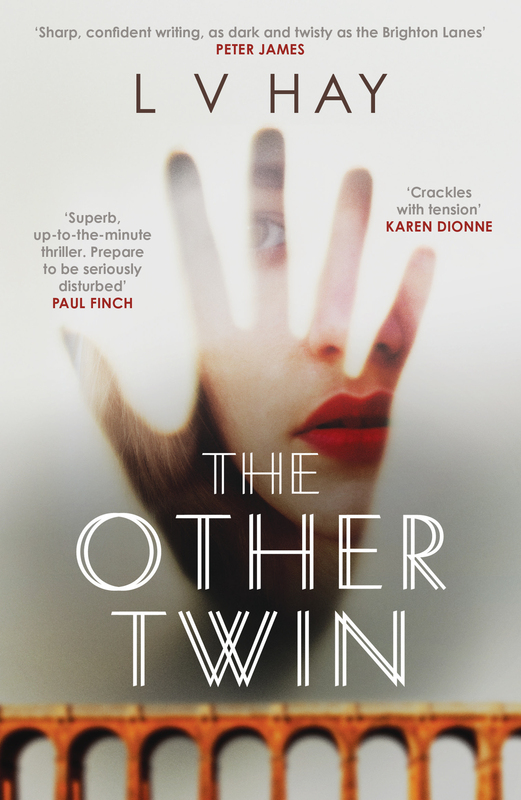 The Other Twin is a smart psychological thriller, with an expertly woven web of twisted plot strands. There are secrets, lies and half-truths buried in the wintry lanes of Brighton, and Hay delivers an authentic taste of the city and its inhabitants as the tension ramps up and Poppy gets deeper into the mystery. Poppy is a compelling heroine, drawn inexorably into the sometimes murky lives of her friends and family. It’s been some time since she was last home, and the people she knew have changed – who’s telling the truth and who’s bending the truth? I loved Poppy’s detective work into her sister’s life through the medium of blog posts, each throwing a new slant on what she thought she knew of her sister. Who is the mysterious Jenny? How is she linked to Poppy’s former boyfriend Matthew, his sister Ana, or any of the other key players? The Other Twin is a relatively short read and I whistled through it in a couple of sittings. The writing is sharp and smart, the twists and turns nicely paced, and the characters well-drawn. Highly recommended. The Other Twin by LV Hay is published by Orenda Books, and is available now. You can find Lucy on twitter @LucyVHayAuthor or at her website lucyvhayauthor.com. Many thanks to Karen at @OrendaBooks for the review copy.